Crystal offered me a pretzel at lunch. It was delicious. I had another. It, too, was delicious. They didn’t taste like an ordinary pretzel. I had to ask what they were. Mikesell’s Dutch Pretzels, she told me, and she then went on to say they’re almost impossible to find in Lexington. That’s pretty normal for some products. I had to go to the store, so I took a curious tour of the chip aisle. 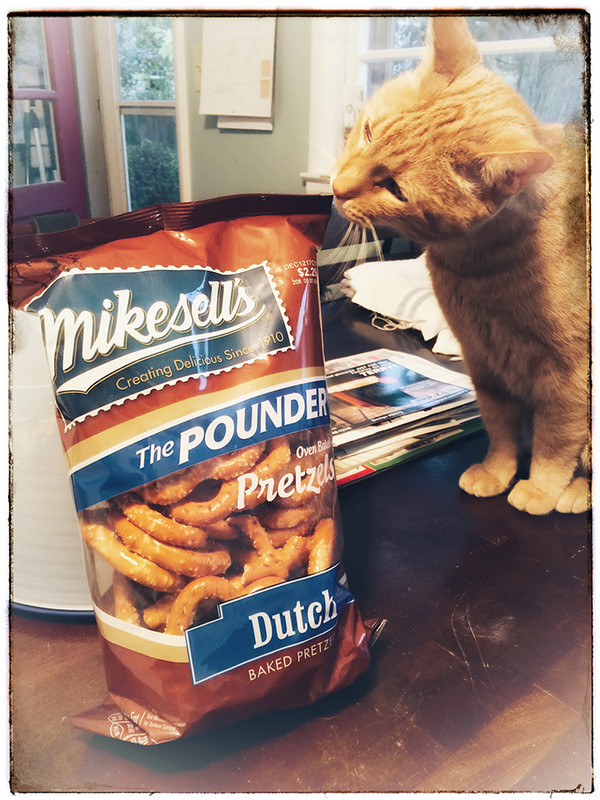 I was just about to leave empty handed when I looked up, and there, tucked in tightly with some off-brand pretzels, was a lone bag of Mikesell’s Dutch Pretzels. Me and Crystal, we’ll be having pretzels for lunch this week.